Gatlinburg isn’t just the gateway to the Smokies, it’s also a gateway to the perfect getaway for small or large families and groups. Whether you’re an adventurer, foodie, thrill seeker or shopper, Gatlinburg offers plenty of fun to make your visit an unforgettable one. Peruse the selections below to see how many things to do in Gatlinburg there are! Once called a “moonshiners’ paradise,” Gatlinburg is home to the Sugarlands Distilling Company. 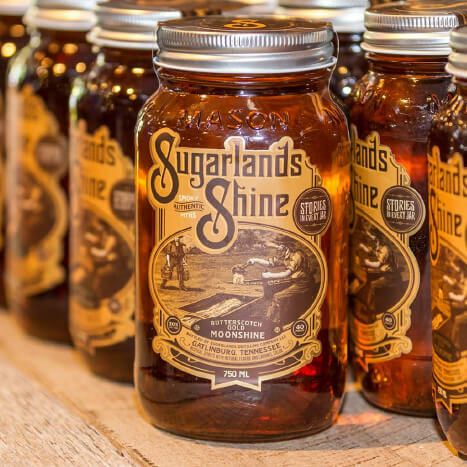 American Peach, Silver Cloud, and Dynamic Cinnamon are just a few of the many moonshine flavors you’ll be dying to try at Sugarlands Distilling Company. From what used to stand as a dilapidated barn, has now been repurposed to a beautiful and finely aged building. Witness the handcrafted process of a truly one-of a-kind moonshine. Learn about the company’s rich history in the industry. Just don’t forget to take a jar or two home with you after your tour! If you’re a fan of the TV series “Moonshiners” you’ll recognize the people behind the Legends series. They feature the recipes of Mark and Digger, Jim Tom Hedrick, Mark Rogers, and Steven Tickle. Sugarlands started their “Whiskey Project,” with three different batches in 2016. 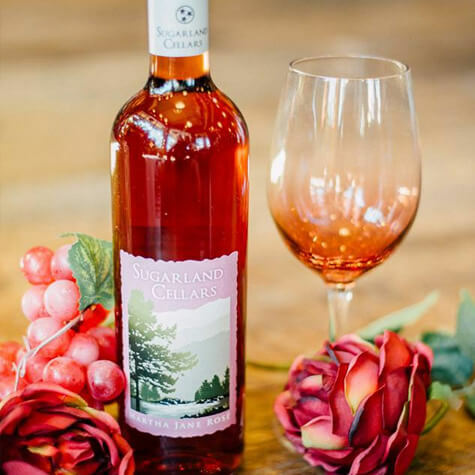 The Great Smoky Mountain’s rich history is showcased on the labels from Sugarland Cellars Winery, located at the Gatlinburg entrance to Great Smoky Mountains National Park. Sugarland Cellars offers daily tours and complimentary wine tasting, great for small to large groups! The gift shop is filled with plenty of wine-related gifts and Smoky Mountain memories. Visitors enjoy carefully selected fine wines crafted on site from pure passion and a rich mountain history. They are a part of the Rocky Top Wine Trail, so if you want to start a Passport, this is a good place to start. They offer dry, semi-sweet, sweet, and specialty wines. If you want to see how wines are made, they offer free tours Monday through Wednesday, Friday, and Saturday from 1:00-5:00 PM every half hour. If you have a group, just call ahead. Tastings are always free. Get your picture taken on the Sky Lift. This nostalgic ride has been open for over 50 years. You’ll be taken to the top of Crockett Mountain where an impressive view of Gatlinburg awaits. While kids can certainly go on the Sky Lift, there isn’t anything to secure you except for a safety bar, so your kids would have to be able to sit still. They operate daily and open at 9:00 AM. Their evening hours vary with the season. If you get the munchies after the ride, they have frozen drinks, snacks, and ice cream in their gift shop. 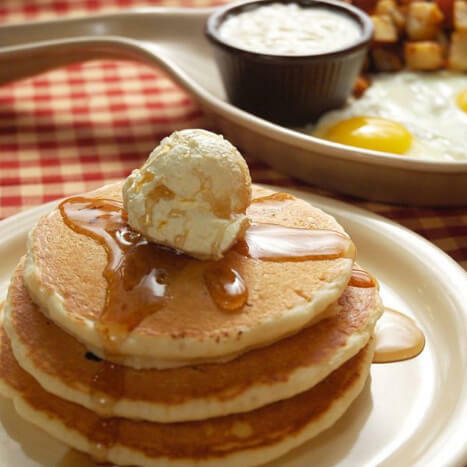 If you want homemade, fluffy buttermilk pancakes with cascading pools of warm syrup, Flapjack’s Pancake Cabin should be your go-to location. They started out as a backwoods, cabin restaurant for hungry hikers and mountain visitors and the feel was recreated to welcome guests in Gatlinburg and other locations. They have happily served breakfast to over 5 million visitors. Take yourself and your kids for a meal that will make your mouth water before you dig in. 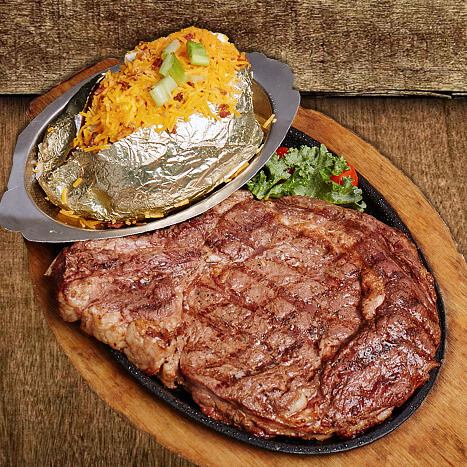 The Alamo Steakhouse cooks their hand cut, aged, and seasoned steaks over an open oak fire. If you are in the mood for other meat, they also have excellent seafood, pork, and chicken choices. Your kids will have a full course meal, as the kid’s menu includes a main course, side, drink, and dessert. Kick your steak up a notch with your choose of hollandaise sauce, Bearnaise sauce, blue cheese crumbles, or a horseradish crust. 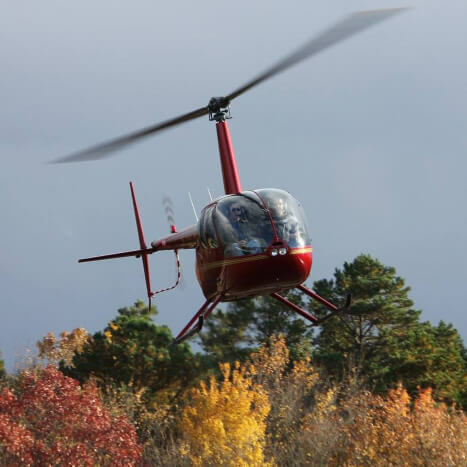 Get a birds-eye view of Gatlinburg and have the ride of your life on board a helicopter. You can get a tour of Gatlinburg only, or with their “See It All Tour” you will also enjoy views of Douglas Lake, English Mountain, and the foothill mountains of the Great Smokies. Great for young and old, this is perfect for those who want to do something a little different and height-defying. CLIMB Works is the inventor of the revolutionary automatic breaking system called the ZipKea (short for Zipline Kinetic Energy Absorber). This means the rider’s speed is absorbed as they zip, controlling the rate when they approach the platform and as a rider, you have one thing less to focus on so you can enjoy the scenery! 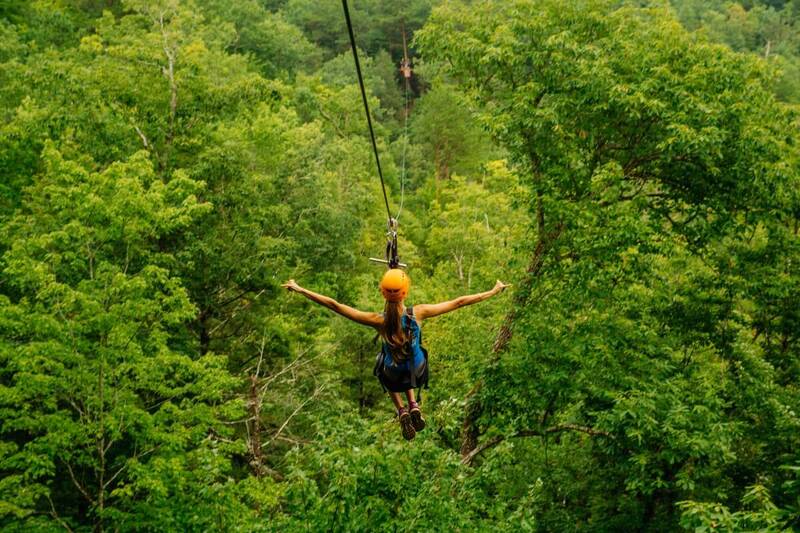 Enjoy 9 world-class zipline adventures from the canopy of the trees. They’re open all winter so no season will stop you from having a great ziplining experience. You can increase the thrill by taking a sunset zipline, which will leave you in darkness about halfway into the zipline tour. 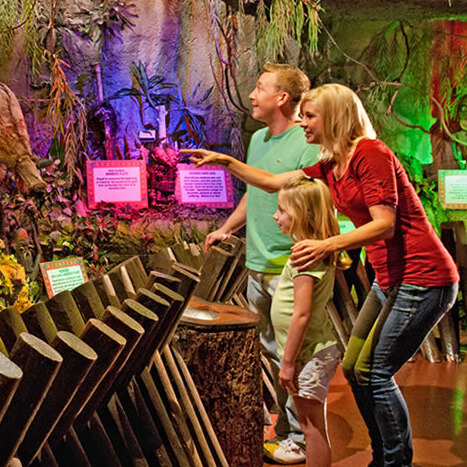 For offbeat and curious visitors, Ripley’s Believe It or Not! Odditorium is 500 exhibits and artifacts divided into 16 themed galleries showcasing the most fantastic oddities and weirdest stuff Gatlinburg—no, the world!—has to offer. From shrunken heads to visual illusions and unique creatures, you’ll find the perfect place for delightfully weird and seemingly out-of-this world educational entertainment. Ripley’s Believe It or Not! is open 365 days a year. 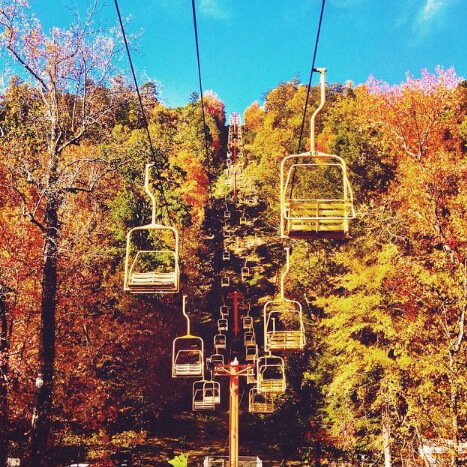 Ober Gatlinburg has more than just skiing…it’s a year-round destination! Enjoy the new Ski Mountain Coaster that covers about 3,750 feet over five and half minutes. Kids aged three to nine can ride with a driver over age 18. 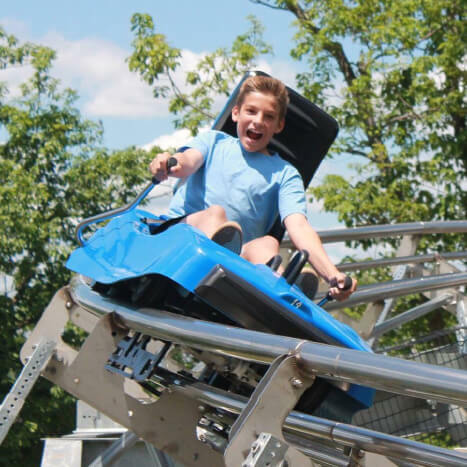 The alpine slide is already a great summer activity as you descent on one of two 1,800 foot tracks. There are also plenty of other outdoor attractions at Ober Gatlinburg like the chair swing, mini golf, kiddie land and rides, a maze, and water raft rides. Stop by Fannies Corner Kitchen for their famous homemade foot long Ogle Dogs. Stop by and pick from over 10 flavors of shaved ice, cheesesteak subs, and sausage subs. 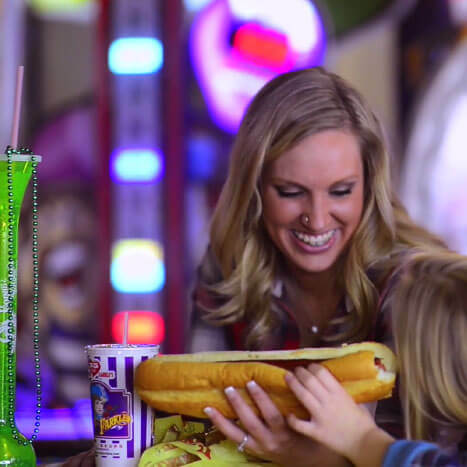 Kids will enjoy the corn dogs and games, and parents will enjoy the atmosphere and joy. Stay a while to play games in the Amusement Center, where you’ll find a huge selection of games for all age groups. Fannie Farkle’s has all of the biggest, best, and newest arcade games with the feeling of an old-time country fair. Create memories you’ll have for a lifetime and keep coming back because game points on the new card system don’t expire. Take the historic 8-mile loop and sink your eyes into the original works of the community members. 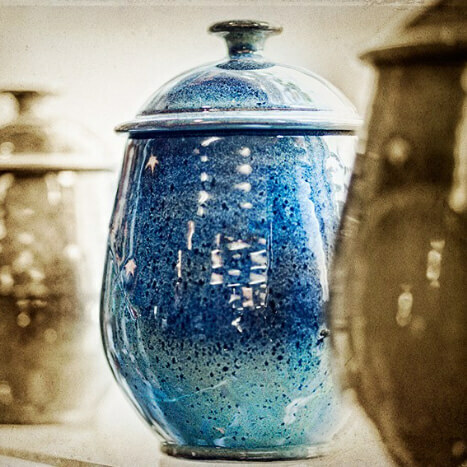 From painting and pottery to candles and ceramics, this is a spot you won’t want to miss if you want to bring an original and homemade collectible back with you after your trip. There are over 100 different artisans and craftsmen to visit. If you want to get more hands-on and learn some of these skills yourself, don’t miss the “Hands-On Gatlinburg” event in April where you make (and keep) a piece of art or craft from one of the resident artists. Parking is free at all the shops, studios, galleries, and cafes. Enjoy 18,000 square feet of an outdoor-enthusiast’s shopping dream. From gear for excursions to clothing and apparel for casual living and running, NOC Gatlinburg has it all. 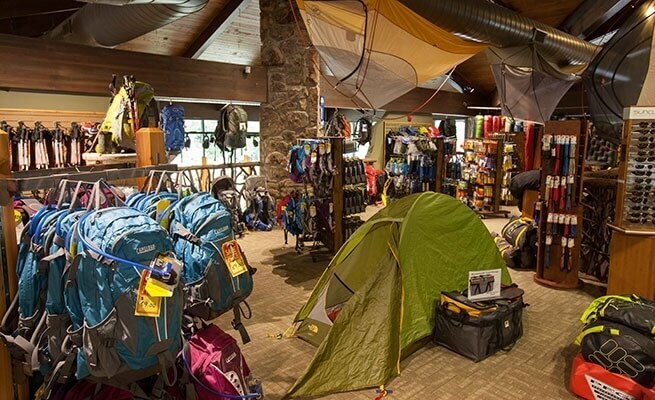 They feature items from manufacturers like Columbia, Patagonia, Keen Footwear, Mountain Hardware, Osprey, Chaco, MSR, Black Diamond Equipment, and The North Face.